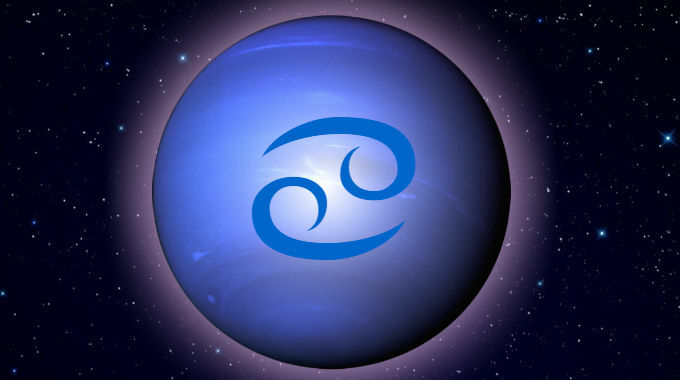 Neptune in Cancer is in a cardinal water sign, dissolving, synthesizing, idealizing and artificially reconstructing the significations of its ruler, the Moon, such as the notions of domesticity, parenthood, the physical body, home, tribe and country. People from this 14-year span of time may stand out as protective and communal as a group, and individuals with aspects from Neptune to more personal planets and points may stand out as their visionary guardians and caretakers. People also take on characteristics of the time they come from. Accordingly, the 1901-1915 Neptune in Cancer period featured the emergence of synthetic vitamins, hormones, fertilizers, plastic, silicone, industrialized baby food, processed foods. All of the Moon’s significations about the physical body, nutrition, fertility were chemically reconstructed as artificial imitations of their natural counterparts. This is also when air conditioning was invented, allowing people to simulate cool environments, settling and living in environments and communities they otherwise couldn’t. This is especially true if you were born with Cancer rising. Whether you experience the better or worse significations of this position depends on whether you were born during the day or at night, and the kind of aspects it makes with the other planets.